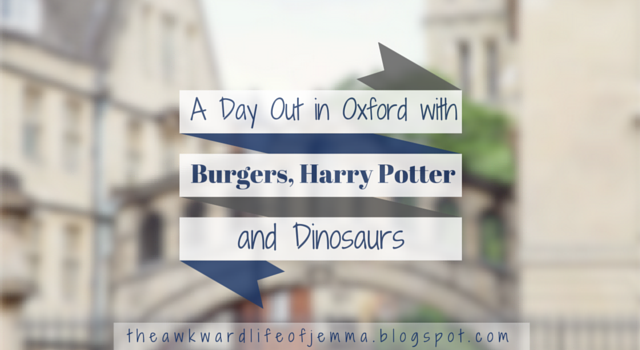 I've been wanting to go to Oxford for quite awhile especially to explore some of the locations where the Harry Potter movies were filmed so while Harry and I were staying in the west of England we decided to drive down for a visit! We somewhat stupidly decided not to take the Park and Ride as it seemed expensive and we weren't sure where it would drop us off in the town centre so we queued in traffic for ages before parking in one of the only car parks Oxford has. Luckily for us the parking cost was easily comparable to park and ride but meant were right in the centre and didn't have to faff about with buses. 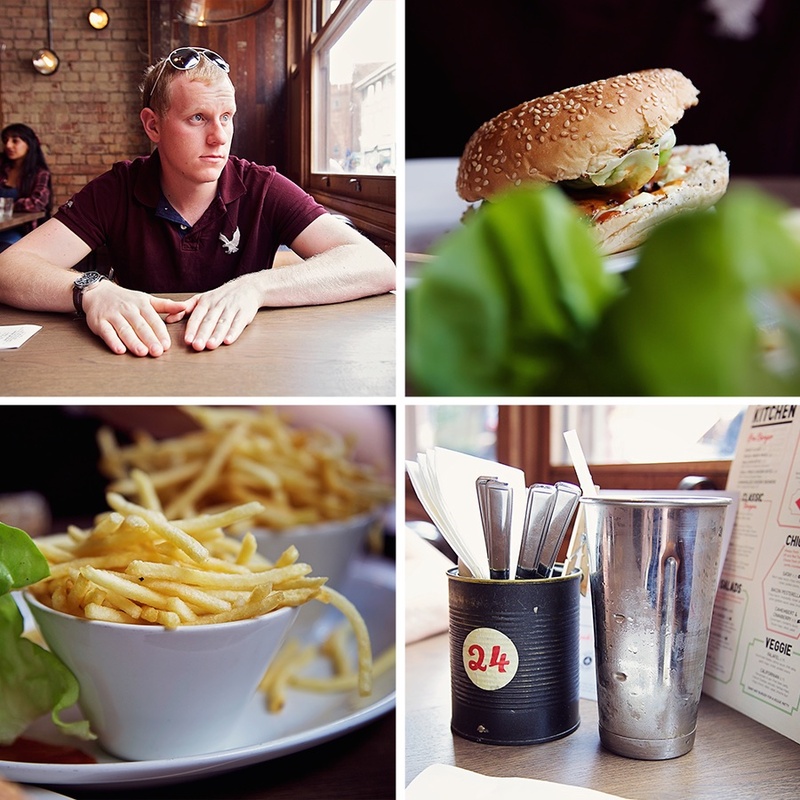 By this time we were quite hungry so we stopped off at GBK for something to eat. I chose a simple small beef burger with skinny fries but I was seduced by the salted caramel milkshake. OMG, the milkshake was so good! Creamy and caramel-ly, it was moreish and delicious. 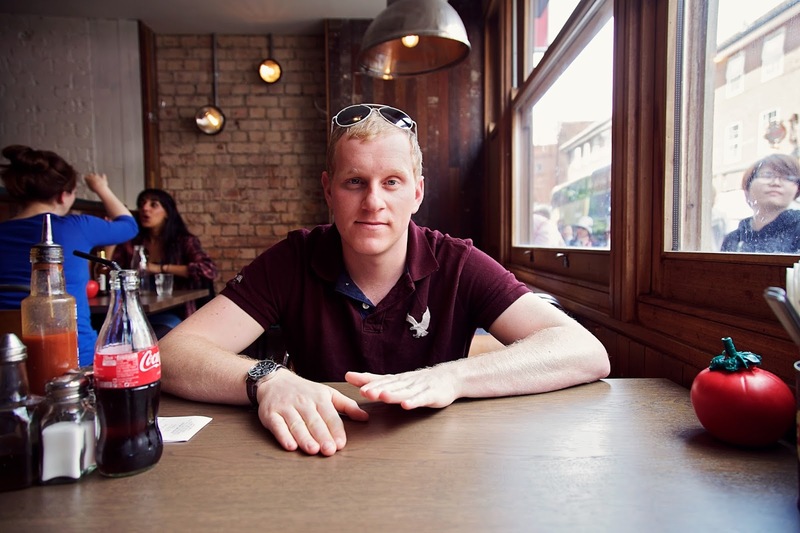 The burgers were juicy and full of flavour and I could easily have eaten much more fries! Harry picked up some hot sauce and instantly loved it but it was a bit too spicy for me. The Oxford GBK also has interesting theming, I think the seats were from an old train carriage and the lights on the wall looked like they were made from old car or motorbike headlights. 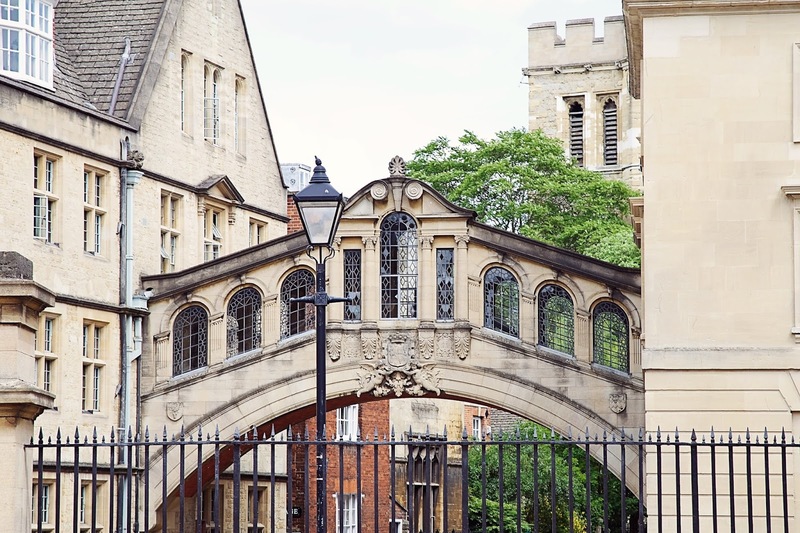 After our burgers we walked off to explore Bodleian Library and The Bridge of Sighs which are both part of Oxford University. While we were walking around we saw so many people cycling and more in graduation robes, a highlight of my visit was to see a professor cycling past with his robes flying behind him! I found the Bodleian Library a bit confusing to explore so we only really saw it from the outside, but apparently if you do go in you can see the Divinity school which was used as one of the classrooms at Hogwarts. 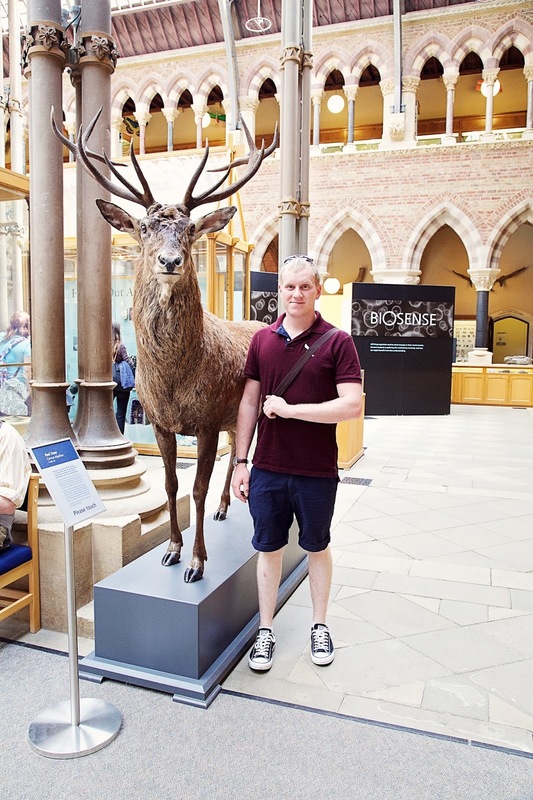 Next we headed to the Oxford University Museum of Natural History which was much more fun. As you enter there is a huge tyrannosaurus-rex skeleton and there are plenty more skeletons and fossils to look at too. There are also a number of taxidermy animals which I usually find creepy but I don't mind them in the museum setting. The stag looked amazing as I've never been so close to a deer before! I loved the architecture of the museum too with the steel pillars and intricate ceiling. I really enjoyed mooching around the museum, I think it is well worth the visit and it has free entry too! Afterwards we sat outside on the green for a little while as my feet needed a rest and I noticed dinosaur footprints had been pressed into the ground! When we decided we were ready to walk again we took a stroll over to Christ Church Cathedral. There is an entry fee for this which is quite expensive considering it only took us about 5-10 minutes to walk around and the great hall was closed (the closure was reflected in the reduced price but it was still expensive). Despite this it was still enjoyable to see the staircase used to film Harry Potter and the other students first entrance into Hogwarts and I'm pretty sure the courtyard was used to film some of the flying lesson scenes although I'm not 100% so don't quote me on that (Harry wasn't convinved!). It was a shame that the great hall was closed, but we have stood in the replica constructed at the Warner Bros. Studio Tour so we weren't too disappointed. Overall we had a really fun day out in Oxford exploring the university and browsing some of the shops. We picked up some amazing fudge from The Fudge Kitchen after we were offered some to try, it was buttery and gooey like no other fudge I've had before. We also browsed an amazing art print and book shop, I could easily have bought so many prints to dot around our flat! We both really enjoyed our day and hope that we can go back fairly soon for another trip.